After six years, they are finally transitioning into a brand new season of content. Looking back at how the YouTube scene began in Malaysia, we cannot forget about The Ming Thing as one of the OG Malaysian YouTubers. Let’s call them TMT for the rest of this story. You must have come across at least one comedy sketch or short film produced by these quirky boys-to-men. 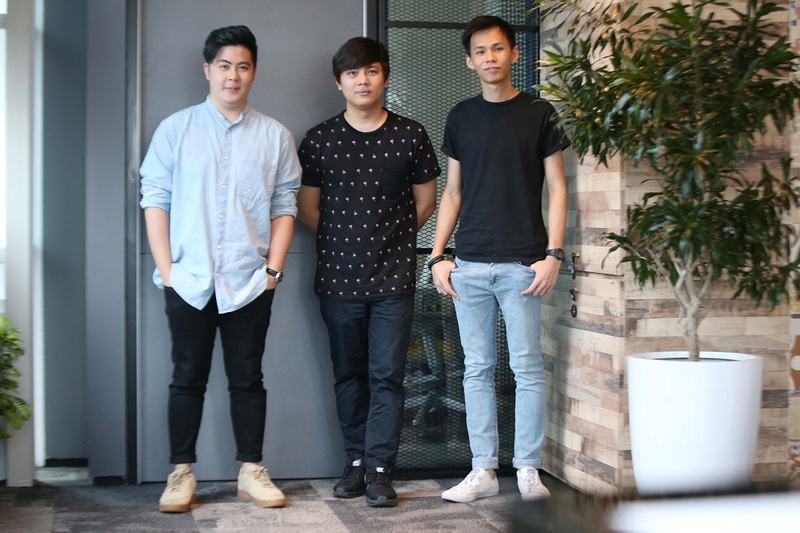 After creating fun and emotional content for more than six years, Ho Ming Han, Bryan Lim and Ho Ming Yue from TMT sat down with us for a heart-to-heart session and spoke about finally transitioning into a new season of content. But when they first started, they didn’t expect that they would last this long together, let alone build a company out of a YouTube channel – Core Studios. Core Studios is the more serious arm of TMT, if you will, that does video production, manages campaigns and talents. It is also the team’s core business (pun intended). “Learning how to build a company from scratch without prior knowledge is something we all had to figure out, so it was a lot of trial and error,” one of the co-founders Bryan said. Besides picking up business and technical skills along the way, the team has also developed an eye for good content instead of just going with the flow. “We started out not really caring about a lot of things. But we’ve become more aware of how the entertainment industry in this country works and we are slowly preparing ourselves to change it for the better,” Ming Han said. And the best thing that makes TMT stick out like a sore thumb is the fact that they never tried too hard to stay relevant. The goal was never to chase after trends and do what the internet wants, but to always strive to be better at their craft. “To put it in an awful way, we never catered to what our audience really like,” Ming Han joked. Then again, we trust that TMT fans would beg to differ. At the time of writing, their main YouTube channel is already pushing 500,000 subscribers with nearly 56 million views in total. They also started a second channel HelloTMT to bring more light-hearted content like vlogs, games, bloopers and talk shows. Staying true to their identity to always stand out from the crowd, the TMT gang has grown as individuals after meeting different types of people and seeing different kinds of characters over the years. You know what they say, the more you see, the more you know. With the continued exposure, listening and plenty of observation, Ming and friends have learned to build their own principles and values around what they really want to do. More importantly, they found the courage to address more serious matters, in other words, touch on sensitive issues that were taboo topics pre-GE14. “In light of the recent elections, there is a new hope that maybe we can finally talk about things that matter to us, all in good time,” Ming Han shared. This sentiment has led them to what may be the most crucial project of their lives. TMT was selected for YouTube’s ‘Creators for Change’ programme this year, a global initiative that highlights inspirational creators who strive to change conversations surrounding difficult issues and make a positive impact in the world through online content. Established in 2016, the platform uses this programme to handpick creators who are passionate and dedicated to creating social change. This year, YouTube chose creators from more than 16 countries with a combined audience of 20 million fans. And guess what? TMT is the first Malaysian ambassadors for this initiative! Though at the beginning, they didn’t realise the sheer scale of this movement. 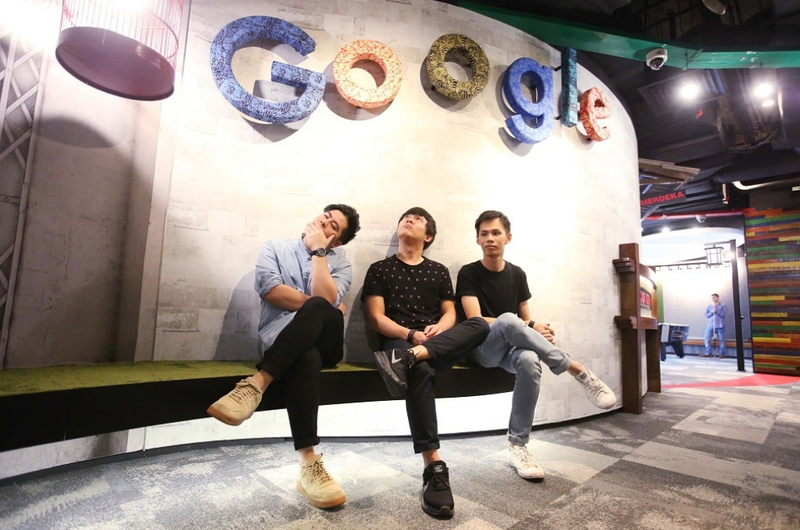 The team at Google Malaysia had approached them early this year to see if they were interested to pitch some ideas for this campaign since they were opening it to Malaysian creators for the first time. The next thing they knew, they were officially selected as ambassadors for the Class of 2018 in April and flown to London to attend the Social Impact Camp. “We all went to the camp not knowing what to expect. We thought it was just going to be another gathering for YouTube influencers and creators,” Ming Yue said. But they understood almost instantly that it was more than that. The two-day camp was packed with sharing by speakers, video production workshops and mentorship opportunities with experts. “It was probably the closest thing to having a YouTube college,” Ming Han said. One of the most fulfilling parts about the camp for them was connecting with the ambassadors from the other countries. “When you go for this kind of events and bring a lot of people together in a room, you start to see conversations gravitate towards the numbers, like subscribers, followers and so on. But there was none of this at the camp. Nobody talked about it,” Ming Yue shared. They later found out that there were creators both big and small from different cultures and backgrounds, which was very encouraging for the creators, including TMT, because they knew that YouTube was serious about selecting those who have a good story to tell. In the last few months, this programme has kicked off projects that address hate speech, xenophobia, extremism, and more things people are normally afraid to talk about. 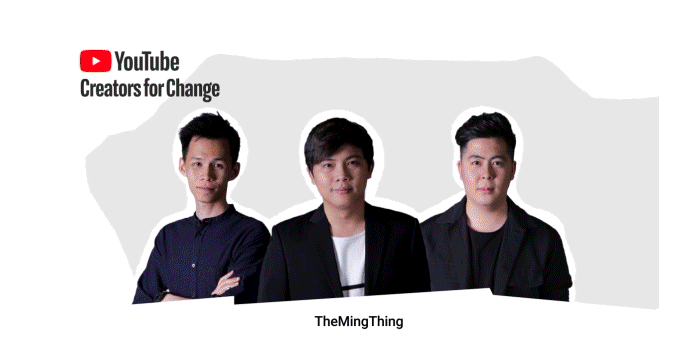 As the Malaysian ambassadors for Creators for Change, TMT wants to touch on racial prejudice in the media and they are producing something that they have never attempted before – a documentary. “It is a partial-documentary, to be exact. We knew that we didn’t want to make it a narrative or sketch. 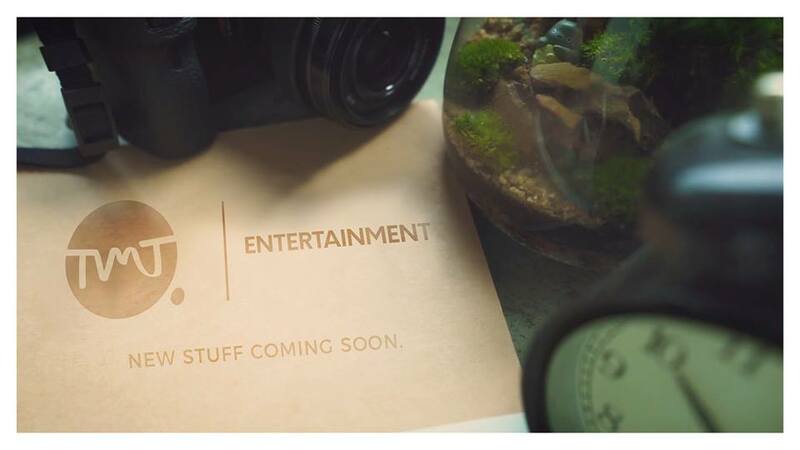 It is going to be the first of its kind on the channel,” Ming Han revealed. This takes them all the way back to their initial strategy, which is to not follow trends and move into a whole new season of content. No doubt, they do admit that they are taking a big risk with this project. But Malaysia’s YouTube space is lacking thought-provoking content, and they aspire to fill that gap. Besides producing newer content, this transition will also demonstrate how they have grown as people and share where they are in life with an audience from a similar age group. However, this doesn’t mean that ‘The Ming Thing’ will be fully transformed into a channel filled with super serious content. They don’t plan to run away from comedy and having fun because essentially, that is who they are as people. Instead, they now choose to focus on creating content that has a stronger purpose and message but also fun and approachable. If you have been following TMT closely on social media, you would have stumbled upon ‘The Takeaway’, a brand new talk show the Ming brothers are testing out to kick-start conversations in a fun and light manner. Having said that, ‘fun and light’ is not as simple as it seems because the team still finds it challenging to condense a topic into a five-minute segment. Nevertheless, what started off as a one-month trial on Instagram’s IGTV has successfully turned into a full-fledged series that the team is producing and uploading on Facebook (for now). And the fact that they are currently merely testing the waters doesn’t seem to shake them at all. “We told ourselves, let’s just make stuff that we truly want to make and not worry. We are shifting our priority from trying to catch our current audience to just making something and trust that a new audience will come,” Ming Han expressed. This is also one of the main reasons why TMT’s main YouTube channel has been silent for a few months. “This whole chunk of time we’ve been doing YouTube was just Season 1. Now, we’re trying to figure out our Season 2. We finally figured out what we’re good at, after half a decade,” he added. 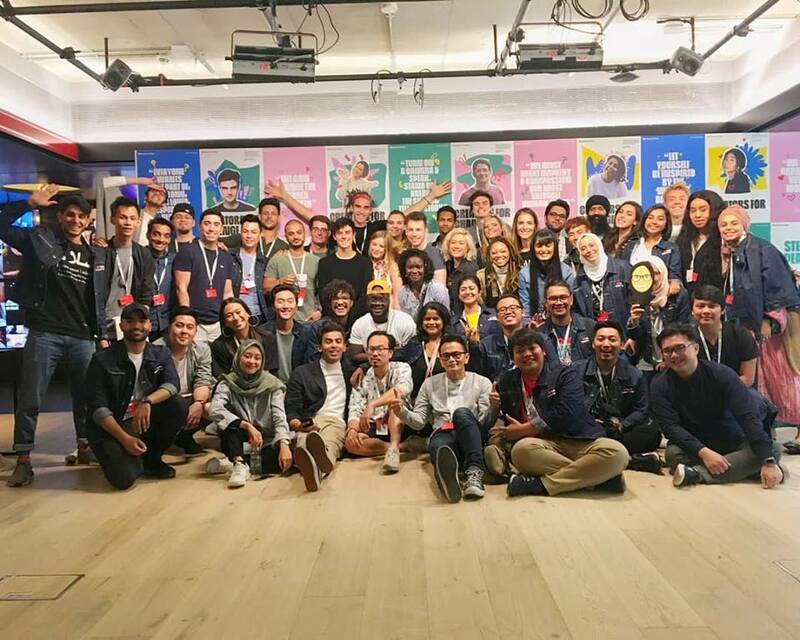 Whether in front of the camera or behind the scenes, the YouTube scene in Malaysia has evolved into a group of people who are actively taking steps to be the change that they want to see in the industry. “Not just us, I believe that everyone is allowed to voice their change, even if you have only five followers on Twitter. If you can influence that one person who read your tweet, who knows what could spiral down from that?” Bryan said. As creators in the public eye, TMT understands that they have a very big social responsibility to push for change, and they are ready to tackle this head-on. Stay tuned for TMT's Creators for Change documentary coming soon. Also, follow them on YouTube, Facebook and Instagram to keep up with their latest updates!